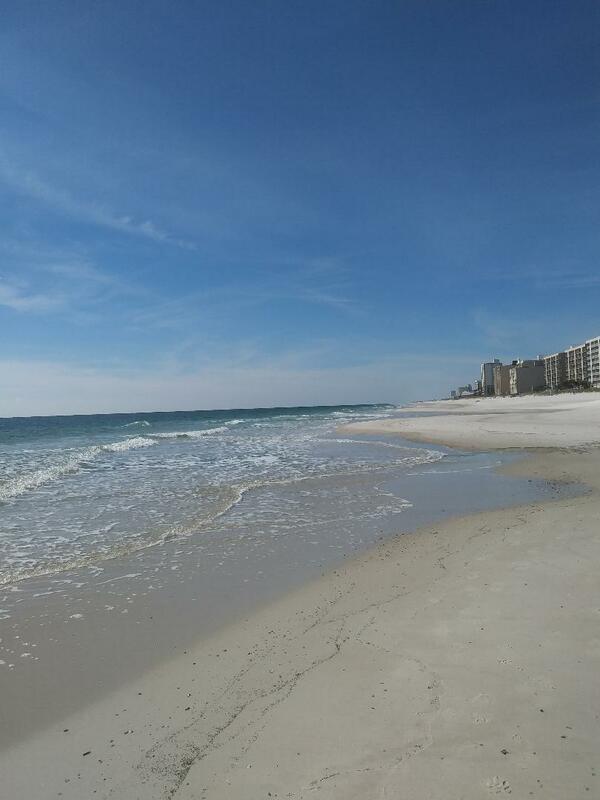 Great Gulf View Economy Condo - Close to Town! 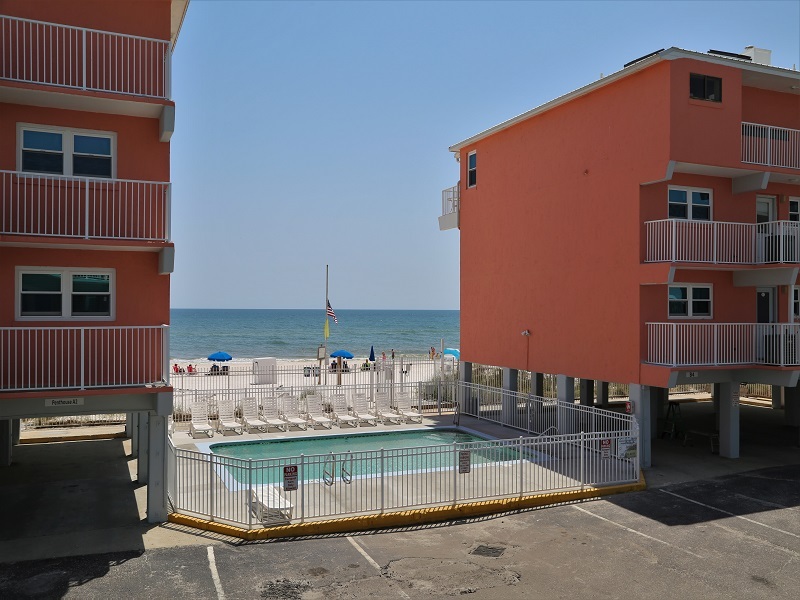 Harbor House B17 is in a prime location along Alabama's gulf coast, at a great price. New Updates underway to condo too! New deck furnishing (bar height table/chairs), new Sleeper Sofa and King bed (May 2017). Brand New 43 inch Smart TV in living room for Amazon Prime, NETFLIX, HULU, etc on your own account! FREE Hi Speed Internet! Granite kitchen counters installed Sept 2017! 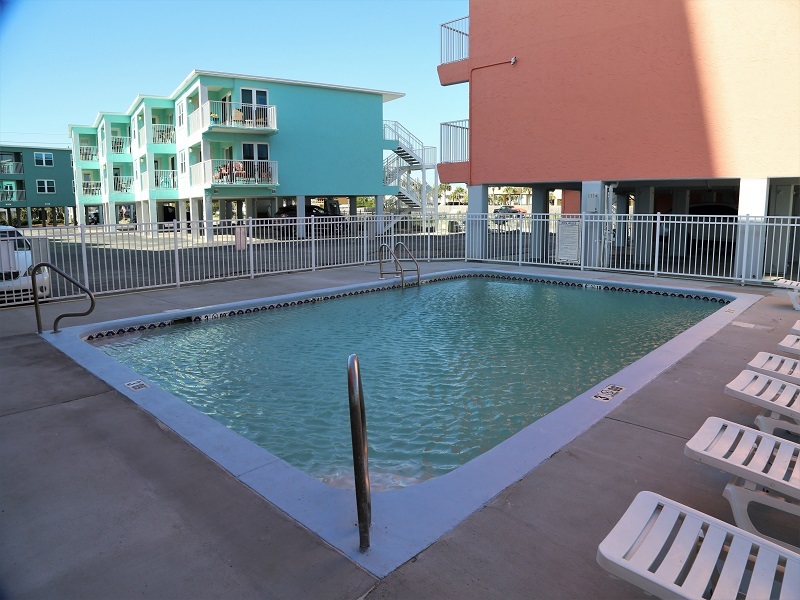 This 2BR/2BA vacation rental offers a beautiful view of the pool, beach and gulf from the private balcony. This unit has a Flat Screen TV in the living room, a corner, wrap-around-balcony, and sleeper sofa. Fully equipped with standard appliances, 3-TVs including 43" Smart in living room and 2 -32" flat screens in bedrooms, 3 DVD, D/W, W/D and refrigerator w/icemaker. 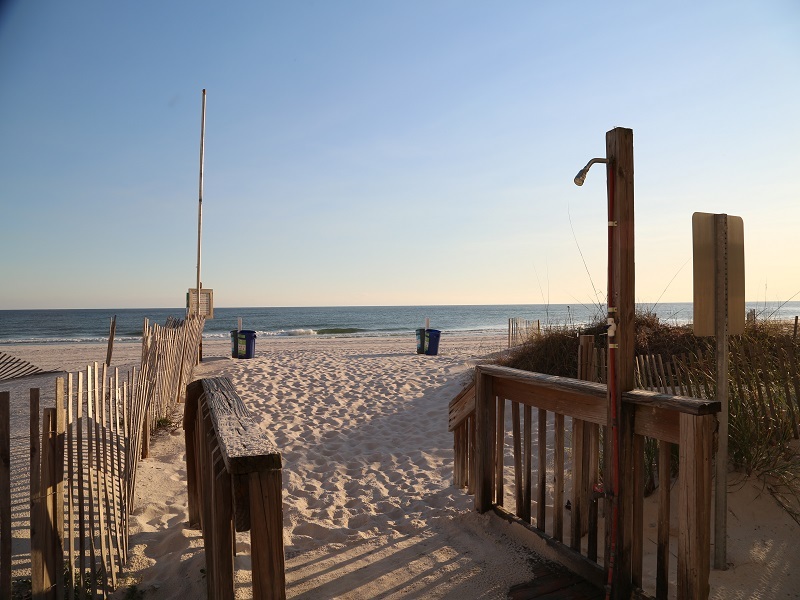 Large wrap around deck features great views of the beach and gulf. Balcony is partially covered, with good views of the beach. We spent most of a week here in May , 2017. The web pictures are very accurate and the accommodations were worth what we paid. Unit 17B in on the first floor and has its own parking space right below. You can fit 2 vehicles if you have to. The kitchen has everything you need for a beach stay and there is a beach store right across the street if you need anything. 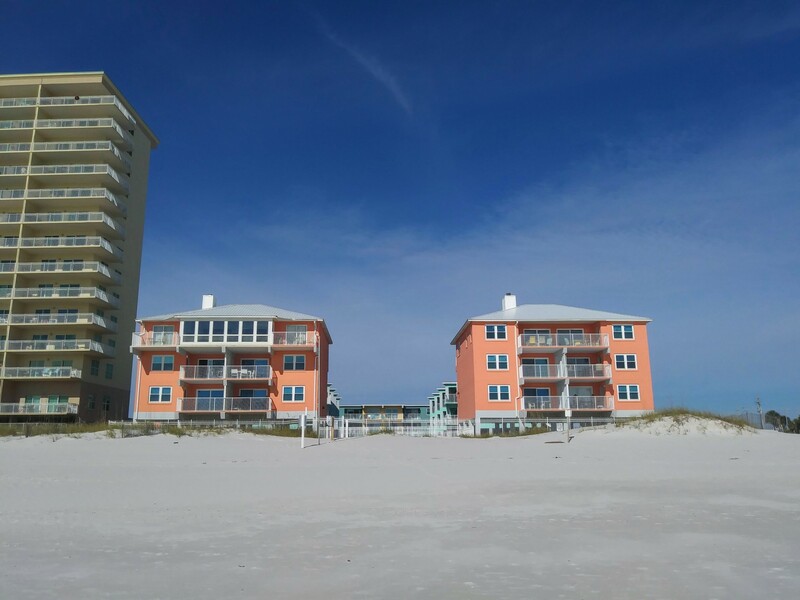 The porch is wrap around so you have a nice beach view for morning coffee, but you are looking between two other condo buildings. The AC works well and TV has Dish if you need it. We tried to unplug as much as possible. But wireless is there if necessary. Check-in and Check-out were quick and Gulf Sands was helpful at check-in, Check-out is basically dropping off your key and parking pass. Don't forget either or there will be an extra charge. TIP: Once you check in at Gulf Sands Realty, exit from the rear of the parking lot, look through the trees and you will see a big ole Walmart right behind the parking lot. We checked in then loaded up with groceries at Walmart. The only negative critique we can give is the furniture needs some upgrading as the living room set and beds have many miles on them. With that said, we would stay here again and found it a beach side bargain. Another TIP: We were in walking distance to Bahama Bob's Beachside Cafe. Make the walk. The food is delicious and very convenient. It is a nice sunset walk back down the beach to home after a great meal. Hey guys! We had a wonderful time, once again, and hated to come home. Met some really nice people, tried a new restaurant and went deep sea fishing with the Cold Mil Fleet crew. It was loads of fun and just myself, my husband John and daughter Lindsay. It could not have been better!! Thanks to Drew for replacing the drip pans on the stove. Cooking was much easier! We hope that he is feeling better. Harbor House B17 - View from your private balcony! Welcome to Harbor House B17!